Bird-watchers worldwide have viewed a variety of speckled birds. Bird enthusiasts can create their own bird sanctuary right in their backyard, by placing bird feeders, birdhouses and birdbaths throughout the property. This will attract a variety of species of birds, including speckled birds, if their natural habitat is close to residential areas. The spotted sandpiper has bold dark spots, against a solid white chest. When in flight, a white line runs along the wing. The sandpiper walks quickly and has a distinctive teeter, which causes its tail to bob back and forth. The spotted sandpiper can be found throughout North America and is the most widespread breeding sandpiper. This shorebird prefers to be close to water sources such as beaches, rocky shores, rivers, ponds and lakes. They are active foragers and feed on small invertebrates including small fish, snails, beetles, worms, grasshoppers, flies, midges, beetles and mayflies. Adult speckled tanagers are about 5 inches long. The upper part of their body is green with black spots and their face is yellow with a black line that runs from the gape to the eye. Their wings and tail have black edges as well as green. They are commonly located in Costa Rica, middle America and northwestern Brazil. They are highly active and constantly foraging and scanning for food such as small fruit and insects. They use deliberate acrobatic maneuvers when looking under leaves for food sources. They feed on insects and fruit. Their natural habitat is shady gardens, clearings and forest edges. Speckled tanagers are rarely seen alone, they travel and forage in small groups of six. Northern flickers are large woodpeckers. They sport black spots against brown plumage, the undersides of the their wings and tails are either red or bright yellow. Their natural habitat is in mountain forests, yards, woodlands and parks. 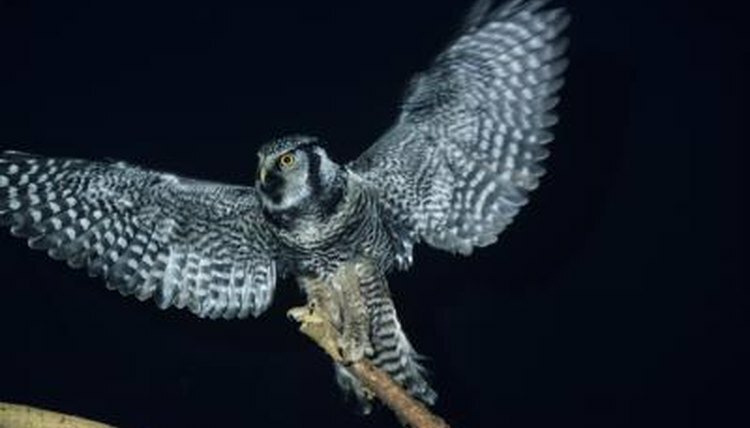 They are commonly found perched on trees and flying up and down against tree trunks. Although the Northern flicker is capable of hammering on tree trunks as other woodpeckers do, they actually prefer to forage for food on the ground. Ants are their main source of food. Native to Siberia, the dusky thrush also can be seen in Alaska during migration. It has a dark brown head, brown upper body and black speckles on its white chest. The dusky thrush feeds on berries, fruits, earthworms and insects. It breeds in open woodland areas and prefers mountainous habitats, trees and shrubs that bear fruit. They have a fluted whistling song.